If you’ve got a check engine light that just won’t seem to go away on its own, it might be time to drop into the auto repair shop at Steve’s Imports. Before you get too worried though, check your gas cap and make sure it’s all the way on. We’ve had too many cars brought in by frantic owners only to discover that the reason their check engine light has been on for the last three days was due to an untightened gas cap. So once you’ve ruled that out, now you’ve got to think about your service history. Our mechanics are 100% ASE-Certified car experts. If you’ve got a check engine light that just won’t quit, let our guys take a look. While a simple car scan can give you some useful information, they only tell part of the story. There’s a lot that could be happening under the hood at any given time. 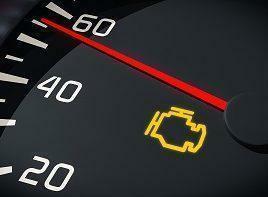 To help narrow down the case of the glowing check engine light, here are some of the common causes. Car is running too lean/rich. MAF sensor or circuit isn’t working. Of course, if you’re not sure what any of these are, Steve’s Imports is more than happy to help you hunt down the cause of your newly-lit dashboard. If your CEL is due to a faulty sensor. The exact location of the problem in your motor. Preceding issues that may have led to the issue. Problems that may come about if left unrepaired. Your check engine light is always an unwelcome change to your vehicle. 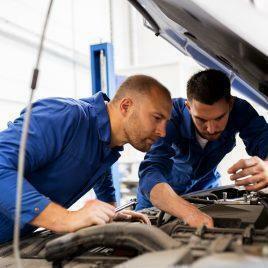 And for a lot of people, the wait and see approach works for a little while, but ultimately only leads to stress that could be alleviated by a quick trip to our auto repair shop. So don’t put it off. We want your car to be in top-form and for you to know that it’s running like it should. If you’ve got a check engine light that doesn’t look like it’s going off anytime soon, roll it on in to Steve’s Imports. In most cases, we can get your car back to you good-as-new within 24 hours. As a family of foreign car specialists, Steve’s Imports values honesty and transparency. With forty years of not pulling one over on our customers, we’ve done pretty good with our approach. Your engine is enough of an enigma. We don’t want our service to be anything by crystal clear. We value clear communication, transparency and upright service for every one of our customers. For a quick, accurate diagnosis of your check engine light, drop off your car at the shop today.